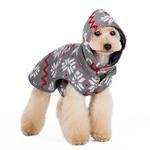 The Reversible Dog Sweater Trench Coat by Dogo in Gray is the perfect Fall gift for any pup! 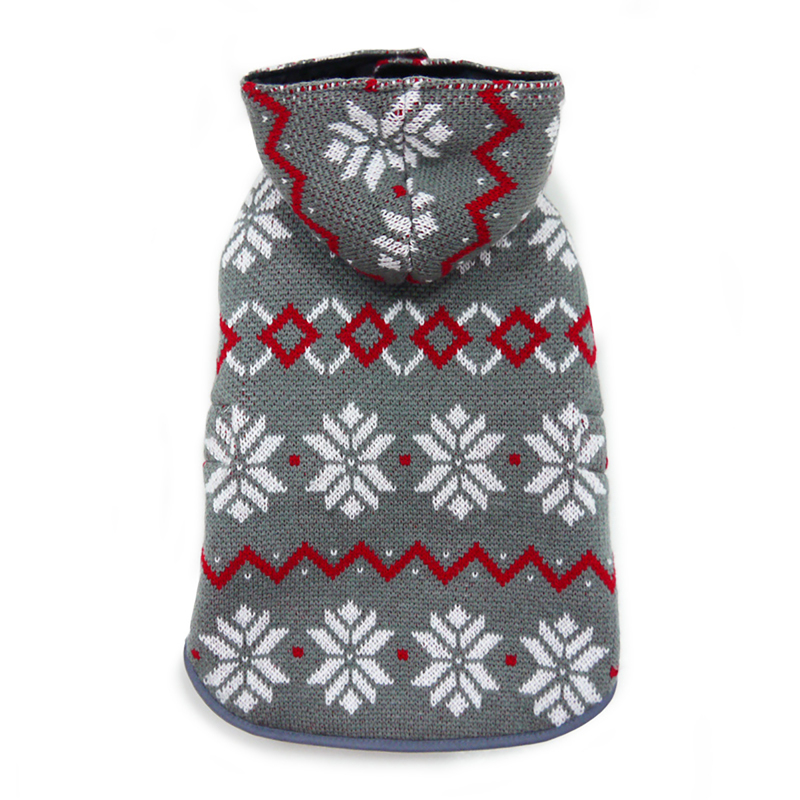 Your pup will look great and stay warm! 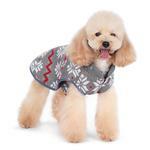 The Reversible Dog Sweater Trench Coat is a reversible boho style sweater and trench coat. 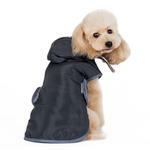 It is designed with extra belly coverage to make sure your pup stays extra warm. The sweater/trench coat has a removable hood and velcro side closures. Reversible Dog Sweater Trench Coat by Dogo - Gray Customer Photos - Send us your photo! Sabrina just got her new Dogo coat just in time for winter! 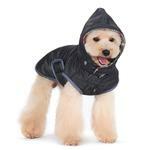 It is also reversible which will be good when it is raining!! Posted On 01/13/19 by Frances M from , LA Yes, Frances M recommends this product! This coat is warm, well made and beautiful. My 12 year old Miniature Schnauzer stays warm and cozy outside. 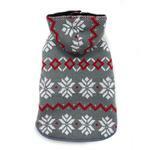 It fits well and has nice features to make the coat a snug fit, especially, around the neck area and hood. I am very happy with this purchase. Posted On 08/24/17 by Linda K from Littleton, MA Yes, Linda K recommends this product! Really nice looking coat with a great fit for my chihuahua.I love the fact that it is reversible and I would recommend this coat. It would look cute with some red accessories!!! I ALWAYS have a great shopping experience at BaxterBoo! I have placed more than ten separate orders with BaxterBoo.com. I typically receive my orders in less than 5 days. Most of my orders have shipped the very day I order them, and I can count on BaxterBoo.com when they tell me it is in stock! It is such a rarity in today's "Cyber World" to be able to truly trust a web site! I highly recommend BaxterBoo.com to any all "Critter Lovers"! They have never let me down.